with author of 'Green Pharmacy', Barbara Griggs. A well known Dutch herbalist used to claim that you could grow all the herbs you needed for health in your own backyard. Traditionally, this is what mankind has been doing for millennia: in a 60,000-year- old Neanderthal grave, the pollens found scattered in the soil surrounding the bones have been identified as those of common medicinal plants still growing in the area today. Some of these herbs served a double purpose: the decorative orange marigold to be found in many a cottage garden supplies a remarkably effective antimicrobial. Others are now regarded as weeds: but nettles, dandelions and plantains are among the most powerful herbal medicines we know. Then there are the culinary herbs - indispensable for cooks but also yet another range of extraordinary remedies: mint and parsley for the digestive system, oregano to protect the respiratory system, rosemary “for remembrance”. Today we import medicinal herbs from the world over - a true planetary pharmacopoeia, learned from a number of ancient systems of medicine. And we would find it hard to do without such treasures as turmeric, ashwagandha, echinacea, ginkgo, ginseng, arnica, goldenseal, licorice, aloe vera. But we could still cater for many of our basic health problems with a handful of plants grown in our own back garden, or harvested from nearby woods, fields, and hedgerows. Call it the GHS, or Garden Health Service: a very low-cost and effective alternative to the NHS. The first talk in the Plant Consciousness Series. Barbara Griggs has been researching and writing about herbs, health, nutrition and natural medicine for over 35 years. 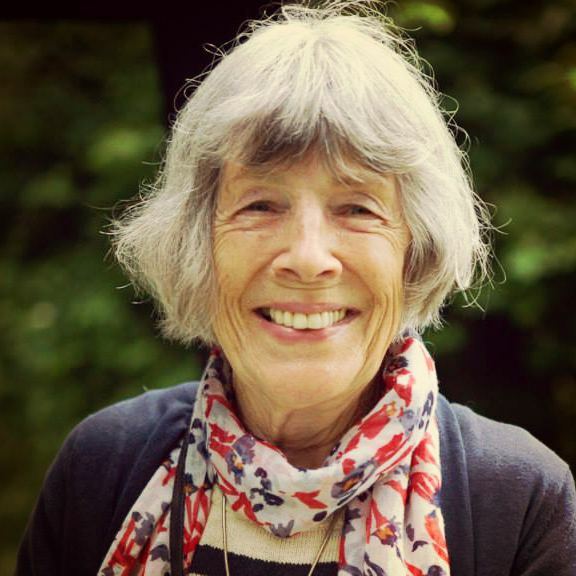 The many books she has published include Green Pharmacy: A History of Western Herbal Medicine ( 1981, 1997), widely regarded as the definitive work on the subject; The Food Factor (1986), a history of nutrition; and The Green Witch: a Modern Woman’s Herbal (1993). ​As Health Editor of the magazine Country Living for 19 years from its launch in 1986, Barbara wrote regularly on natural medicine in all its many forms, from Ayurveda through flower remedies and iridology to healing and Alexander technique.